First up, some market-fresh fish, perhaps from a stall in Tsukiji or a seafood restaurant along the Shonan coast. Then a visit to a classic eatery in shitamachi (Tokyo’s old downtown), such as sukiyaki spot Imahan, which has been in business in Asakusa since 1895. 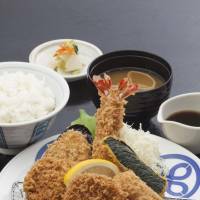 To sample some popular niche foods, you might try tonkatsu (pork cutlets) at a branch of the Maisen chain or eel slathered with savory sauce at Tokyo’s well-regarded Miyagawa. Lunch at a donburi (rice-bowl) spot would offer a taste of down-home dining, and you’d probably want to enjoy handmade noodles, like the udon at classy Ginza restaurant Saganobori. If you had any time and appetite left, you could experience a Japanese take on notable foreign cuisines — Korean, Chinese, Italian. 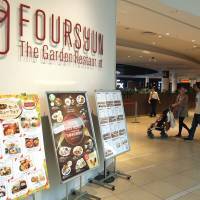 Or, instead of all that, you could just visit the Foursyun food court at the LaLaport Yokohama shopping mall. Opened in sleepy Tsuzuki Ward in 2007, LaLaport Yokohama is a typical, if somewhat upscale, Japanese retail complex. Well-known domestic fashion brands such as Uniqlo and Muji rub shoulders with imports like Coach and Banana Republic. Regular promotional events are held in the central atrium, and an outdoor water fountain doubles as a splash park for kids. The mall also features a movie theater, game center and grocery store. Most of the dining options are of the standard variety as well. Name-brand cafes and sweetshops provide spaces for retail warriors to refuel, and a row of restaurants on the third floor serves everything from okonomiyaki (cabbage-based savory pancakes) to pizza. The ground-level food court is popular with youngsters thanks to its cheap ramen and bustling McDonald’s. But Foursyun offers a very different type of experience. Comprising a collection of 11 celebrated restaurants from the Kanto region, the food court draws crowds of families, couples — and serious epicures. In addition to iconic names such as Imahan and Maisen, the lineup includes Nangokushuka, a high-end Chinese restaurant based in Harajuku; and Chianti, the legendary Italian eatery that debuted in Tokyo’s Azabudai neighborhood way back in 1960. The branches of these restaurants at Foursyun are not mere afterthoughts; the quality of the food is uniformly high. Grilled chicken from Aoyama-based yakitori spot Torimikura carries the unmistakable flavor of binchō charcoal; fried noodles at Bairan are indistinguishable from the ones at the mother ship in Yokohama’s Chinatown; and the fresh fish from Eboshi on the Kanagawa coast — well, let’s just say you can’t fake sashimi. To be sure, the prices are part of Foursyun’s appeal. Almost all the dishes ring in at under ¥1,500. Compare that, say, with a ¥13,000-plus dinner at Imahan’s main branch and you can understand the allure of a trip to suburban Yokohama. The enduring buzz surrounding Foursyun means that lines are always long, yet thanks to an ingenious ordering system, wait times are never egregious. Diners place their orders at a well-staffed bank of cashiers, where they receive wireless handsets that signal when their food is ready for pickup at the stalls of the individual restaurants. Ishihara says that as popular as Foursyun has been with customers, the concept of a gourmet-focused food court has generated equal enthusiasm among restaurateurs. 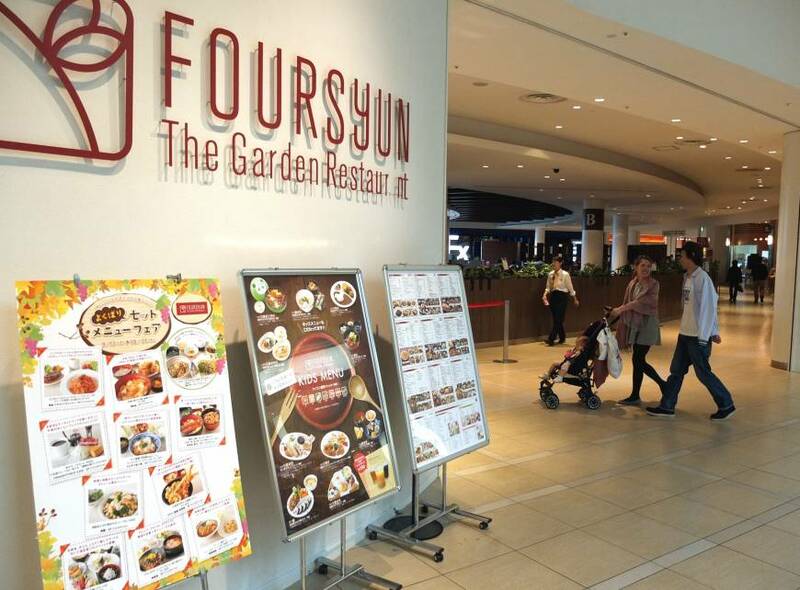 Foursyun is located on the second floor of LaLaport Yokohama, a 10-minute walk from Kamoi Station (Yokohama Line). For more information, visit yokohama.lalaport.jp. Steve Trautlein is a freelance journalist eating his way through Japan. 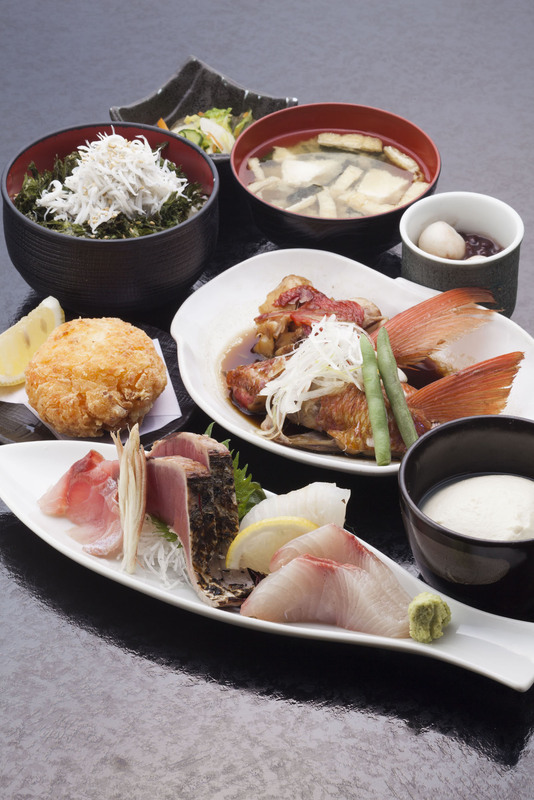 Eboshi (seafood): “Kobachizen” platter (sashimi and assorted small dishes with simmered whole fish; ¥1,890); “Hamaorizen” platter (sashimi and assorted small dishes with tempura; ¥1,580). Chianti (Italian): Spaghetti Bolognese (¥1,080); “special classic” Hamburg steak (¥1,780). Miyagawa (eel dishes): Eel rice bowl (¥1,680); nishoku unagi-ju (two kinds of eel over rice; ¥2,100). Bairan (Shanghai cuisine): “Bairan” fried noodles (¥900); fried dumplings (¥650). Saganobori (udon): Udon with jumbo shrimp and grated daikon (¥1,230); pork rice bowl and udon combo (¥1,180). Torimikura (chicken dishes): “Ultimate” oyakodon (rice bowl with chicken and egg; ¥980); fried chicken thighs (¥600). 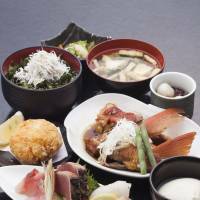 Imahan (sukiyaki): “Nigiwai” platter (sukiyaki and assorted small dishes; ¥1,380); premium beef sukiyaki (¥2,600). 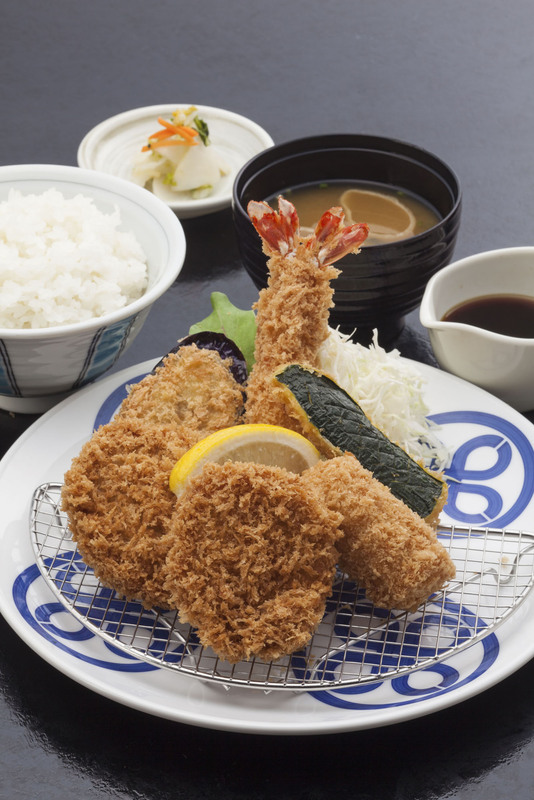 Maisen (tonkatsu pork cutlets): Assortment of fried items (¥1,480); rice bowl with pork loin and egg (¥980). Nangokushuka (Sichuan cuisine): Dandan (spicy) noodles with vegetables and fried rice combo (¥1,400).